Use Convex® Laminates when you need to apply graphics to complex curves such as Helmets and ATV fenders. Softer than Pro-Shield, this laminate is thick but conforms easier to complex curves. 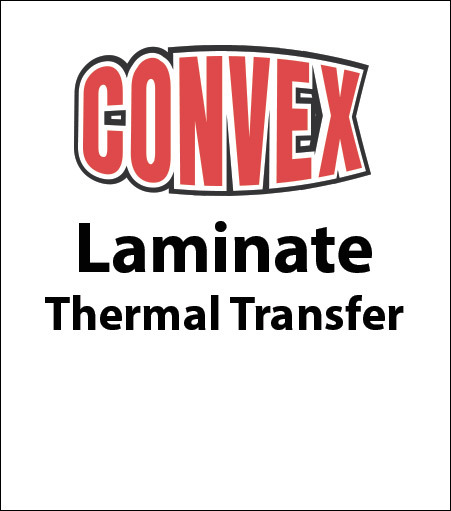 Convex® laminates are the softest and easiest for the average person to apply. Laminate Convexh® to your graphics to give them the extra thickness and impact protection they need to survive in rough environments. Clear, conformable laminate film designed for use with Convex® GearWrap Vinyl. When used with Convex® GearWrap, the decal will remove without residue, creating a super-durable 8 mil to 16 mil decal that you can change as often as you need!